Teeth whitening with Andrew S. Curry D.D.S could save your dating life or your relationship. Don’t believe us? In this blog, we will discuss how professional teeth whitening reflects on you as a person and gives a great impression to current/potential partners. It has been found that it takes someone 1/10 of a second to formulate an opinion about you. So that means, that in less than a second, someone can determine certain characteristics about you whether you mean them to or now. Now, a first impression can be wrong, but most people won’t take their time to find out if they are. If you are in the dating world, you are trying to make a good first-impression, long enough to capture someone’s intrigue. If you have bad teeth, it tends to be a large “red-flag” in most people’s minds. When you whiten your teeth, however, the person opposite you might house a different opinion of you. In this blog, we will discuss how an impression can be swayed in your favor if you have white teeth. Having good hygiene is a must for potential partners, whether it be a man or a woman. If someone is slob-like in appearance, that is not a positive trait to have in a significant other. When you have stained or yellowed teeth, dates can be immediately disinterested. After all, today’s technology has made it easier than ever to achieve white and healthy teeth. If you have bad teeth, people will immediately assume you have never picked up a toothbrush in your life — even if that isn’t true. 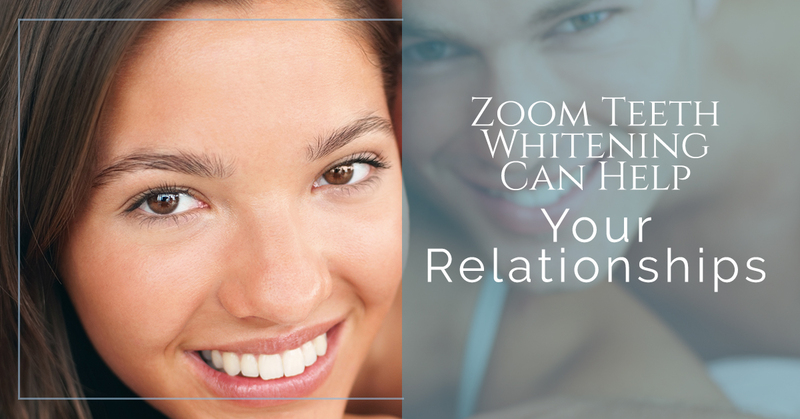 When you have your teeth professionally whitened, your date will assume that you are responsible. Half of being responsible is making actions to make your life better and easier. When you get a teeth whitening, you are keeping up with your dental hygiene and improving your overall appearance. It takes maturity to know what looks best. More importantly, it takes maturity to go out and make a personal positive change. When you go for a dentist teeth whitening, it makes the person opposite you believe that you are a mature adult. Whether that is true or not, if you get your teeth whitened it makes you seem like you are knowledged about hygiene and know how to properly care for your teeth. When you have bad teeth, it can cause the person opposite you to become uncomfortable. Poorly cleaned teeth can make your breath smell terrible and make you look just as bad. With white teeth, you look clean, confident, and bright. White teeth are a symbol of responsibility mixed with good morals, and an inviting personality. When you are dating, white teeth are a great way to invite new people into a conversation and learn more about you. You not only look better with white teeth, but you behave better. White teeth can build confidence and make your smile almost infectious. At Texarkana Dentist, our professional dentist, Andrew S. Curry D.D.S., works hard to give you a gorgeous smile that deserves to be displayed. If you are currently struggling with stained or yellow teeth, perhaps a professional teeth whitening is what you need! Contact us today!